of skin enriching handmade Goat Milk Soap and Goat Milk Lotion. 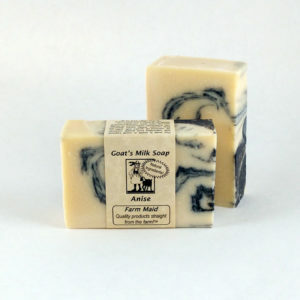 Our goat milk soap is ideal for all skin types! 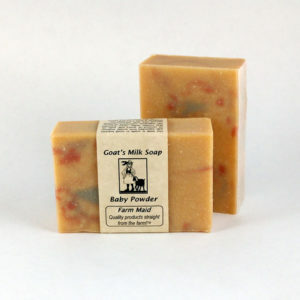 Many people find that our natural goat’s milk soap helps skin issues: dryness, cracking, acne & more. 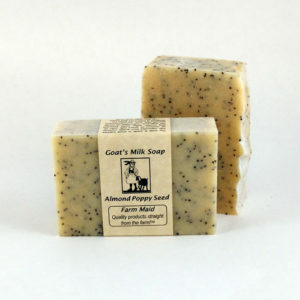 We use only fresh goat milk and high quality vegetable oils to create a well balanced bar with great lather and excellent moisturizing properties. 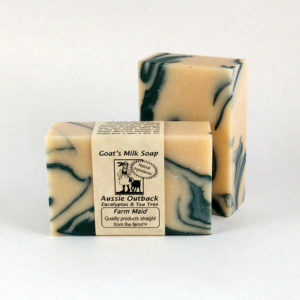 We created our goat milk soap formula over 15 years ago and enjoy bringing you and your skin some of the best homemade soap money can buy! Farm Maid Soap also hand pours long lasting, fragrant Soy Candles in reusable canning jars and creates fabulous hand made Perfumes. Add our new arrivals to your purchases. Be the first to take advantage of our discounts!